Contactless Mobile Payments NFC, iWallet & Host Card Emulation 2014-2018, a report from Juniper Research found out that the number of consumers who are making payments using their mobile handset has been steadily growing in number. According to this report, the number could possibly reach 300 million worldwide by 2017 from 110 million mobile users using this method of payment from last year’s data. The adoption of mobile contactless payment has been around for quite some time, however this has been further accelerated due to the increasing roll-out of contactless cards accompanied by growth in the use of contactless point-of-sale terminals. 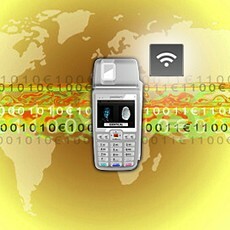 Payment systems using Point-of-sale terminals take up to 90 percent of M2M connections globally as developers and manufacturers of POS terminals has leveraged wireless connectivity quite well to create more efficient payment systems. However, this recent development of contactless payment has created quite a stir among consumers, especially Apple’s launch of iWallet looming large on the horizon. Indeed it has created renewed interest in this area for consumers and businesses alike. How does this affect the M2M market then? ABI Research forecasts that by 2016, 85 percent of POS terminals that are shipped globally are contactless payment-enabled devices, driven by this trend and the rapid adoption of NFC-capable phones. Although it does not create so much of a change per se, as far as the use of M2M technology on POS terminals. However, it may impact the market in holistically. Contactless payment can alter the retail market quite significantly. Craig Foster, Senior Analyst said that Contactless has the potential to change the way we pay for goods completely, significantly reducing time spent queuing at the point of sale. And it can do the same for the vending industry as contactless payment can increase speed the check-out of goods. Its simplicity also goes hand in hand with the very gist of using vending machines, which is to provide goods conveniently and fast. Plus the fact that transactions that are less than $25 do not necessarily need PIN authentication or signature. This makes it very appealing to vending machine manufacturers and operators. And yet the whole retail process can still be changed and further enhanced by M2M technology, says Clovis Lacerda, Head and CEO of LeadingQuest and Parlacom, one of the major providers of M2M in Brazil that also offers wireless M2M solutions for POS payment systems. He believes that POS is just one example of bringing wireless connectivity into the retail world and our daily transactions. M2M technology integrated with NFC-enabled terminals and smartphones can inspire a series of positive changes in the way consumer’s handle payment transactions. Contactless payment will provide more flexibility in this area, while M2M can provide security and ease in conducting these transactions. Next : Home Automation: Is It Good or Bad?